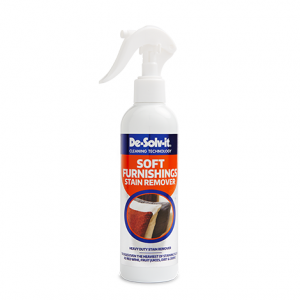 The original De‐Solv‐It® Sticky Stuff ® Remover liquid is a firm customer favourite due to its versatility. 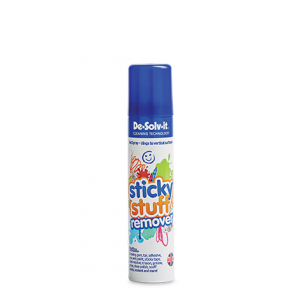 A powerful solution to those ‘icky sticky’ problems around the home. From numerous surfaces including: glass, wood, metal, worktops, fabrics, tiles and much more. 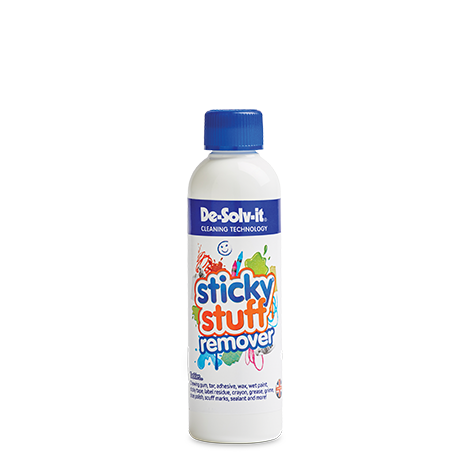 IMPORTANT Sticky Stuff® Remover is not recommended for use on silk, leather, suede, unsealed wood, polystyrene, or rubber/foam backed carpets. Do not use near naked flames or on/close to hot surfaces. Always test on a small unobtrusive area before use. Remove as much of the ‘glossy’ part of the label, adhesive residue or chewing gum as possible without damaging the surface. 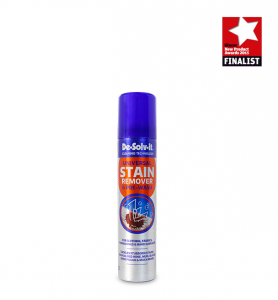 Drip Sticky Stuff® Remover liberally onto a clean, dry cloth and apply to the affected area. Leave the product on the surface for 5-7 minutes. 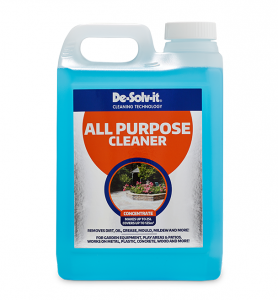 Gently scrape the residue off the surface using a non-scratch item. Rinse the surface with warm soapy water. To remove oil grease, tar, crayon and similar stains from washable fabrics. Blot the area with a dry absorbent material or kitchen roll. Re-apply the product sparingly to both sides of the fabric and leave for one minute or so. Wash the fabric in accordance with manufacturer’s instructions adding slightly more detergent and wash at the highest temperature setting recommended for the fabric.